My daughter loves Ragu cheese sauces. Yes I realize alfredo is easy to make and I realize that this stuff is in a jar but this is her Birthday week and “What baby wants, baby gets.”. (<—* Movie quote do you know which movie? Gimme a comment if you do!) 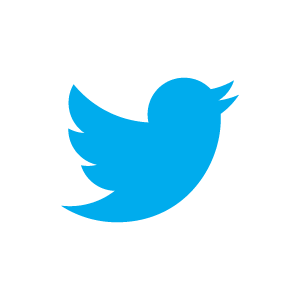 Sometimes you just have to give in. Being the first day of school and the fact that I was drop dead tired, why not give in? I do love that this pasta sauce is low carb because on a day like today when my stress level if through the roof, low carb is good. I also like that Ragu’s sauces are not bland. This one is Alfredo parmesan garlic. 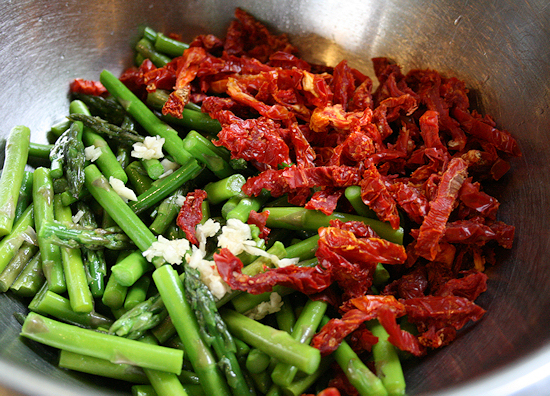 I love sun dried tomatoes and asparagus together. It was a really nice addition to this pasta. Well, needless to say, my daughter loved it but I think she would eat cardboard covered in this Ragu sauce. 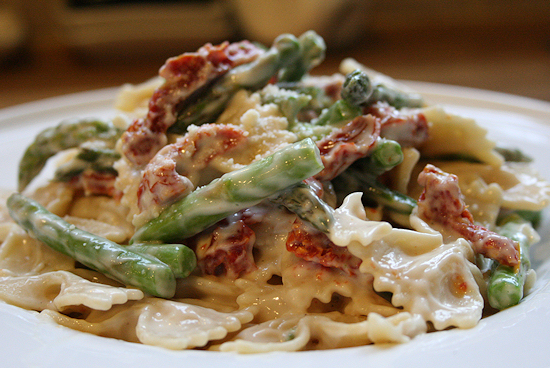 For me, I loved the freshness that the tomatoes, asparagus and garlic brought to the sauce. It made it more of my own by kicking it up just a notch with some fresh flavors. This is an easy weeknight meal for sure. 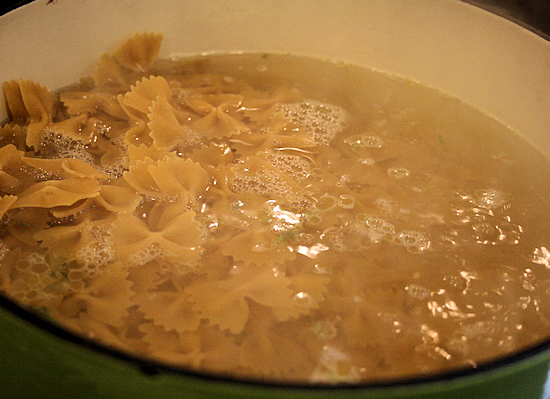 Get your large pot on the stove, add 1tbs salt and about a tsp of olive oil and let the water come to a boil. 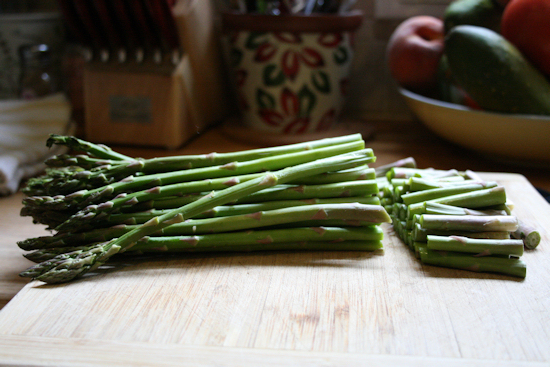 Take your asparagus and chop off the ends, about 1/2inch to get the tough part off and discard. 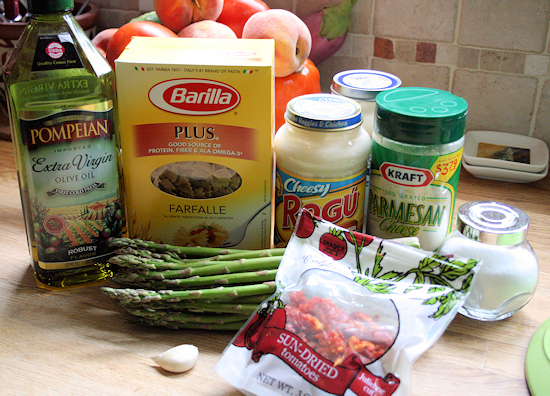 Take the rest of the asparagus and chop into about 3/4 inch pieces. 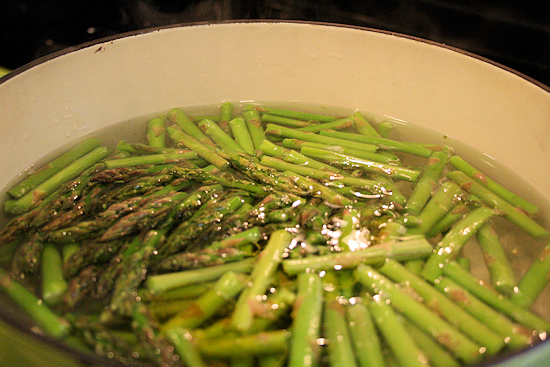 When the water boils, add the fresh cut asparagus and let boil for 3 min until the asparagus is a bright green. 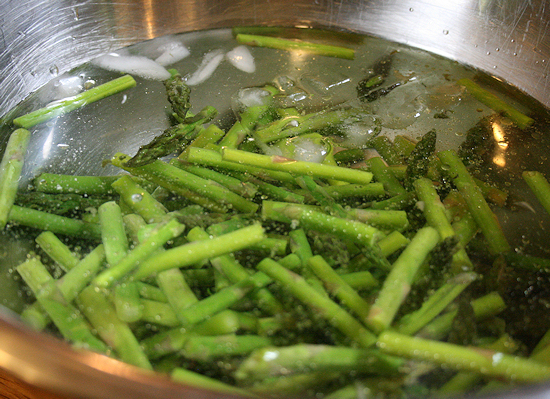 In a large bowl, add some ice and fill it half way with water for the asparagus. 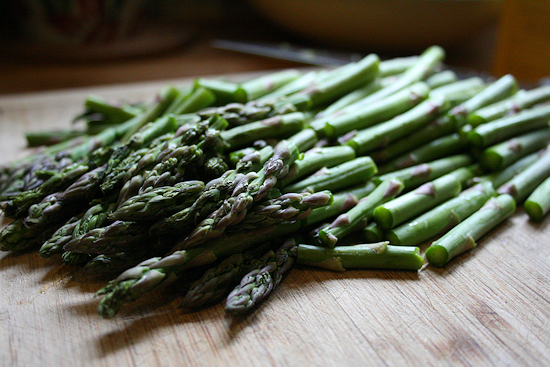 When the asparagus becomes a bright beautiful green color it is done. Put the asparagus directly into the ice bath so that the cooking process stops and you have a nice crisp vegetable to add into the pasta later. Let it sit in the water for a few minutes. 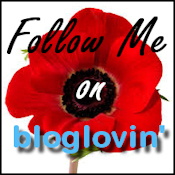 This is called blanching. Drain. 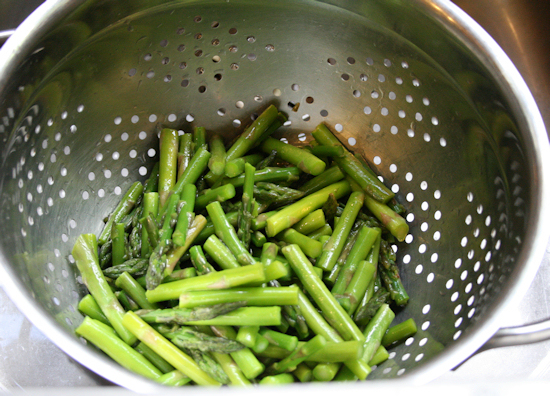 Set aside in a large colander or bowl. 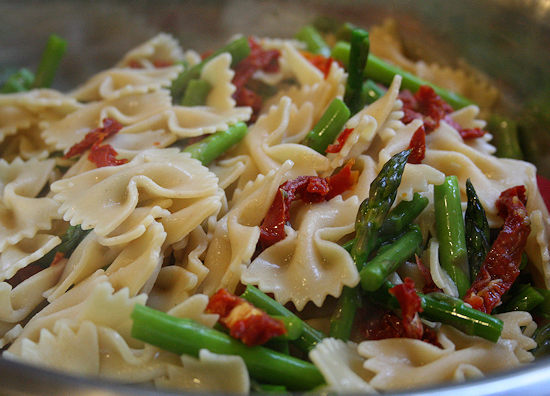 Add your pasta into the boiling water that the asparagus was in and cook until tender. I won’t tell you how to do your pasta. Do it the way you like. I like it aldonte. Not mushy and not crunchy but somewhere in between. While your pasta is cooking, mince your garlic and sprinkle a little salt on. 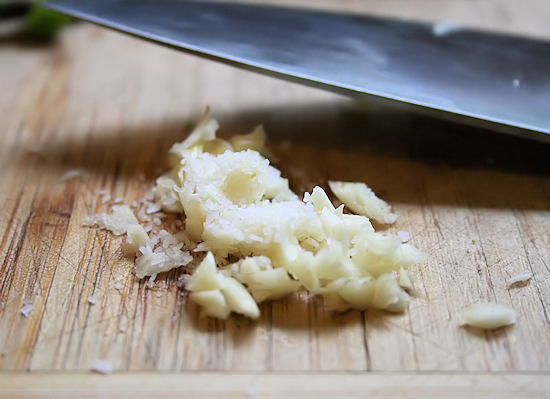 Kosher works best for making your minced garlic into a paste like form. 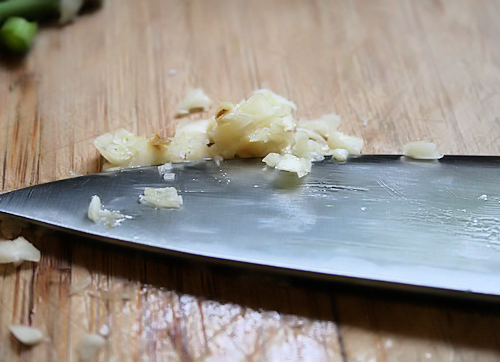 Take your knife and press it into the garlic kinda of scraping it and make it into a paste. The salt helps with that, kind of like sandpaper. 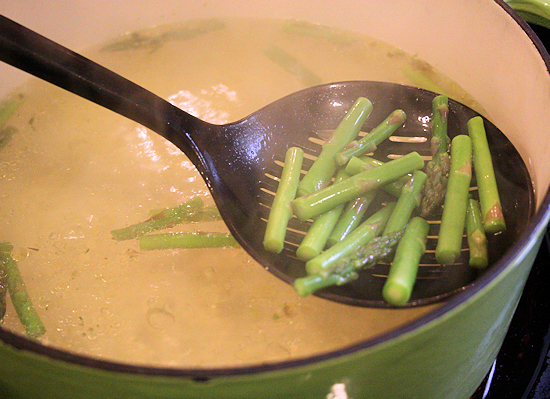 Put the garlic right on top of the asparagus in the bowl. 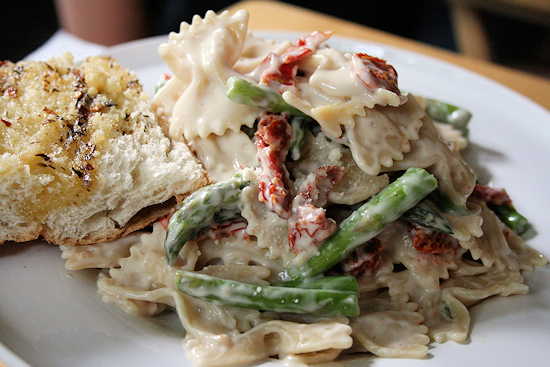 Add your sun dried tomatoes and set aside. 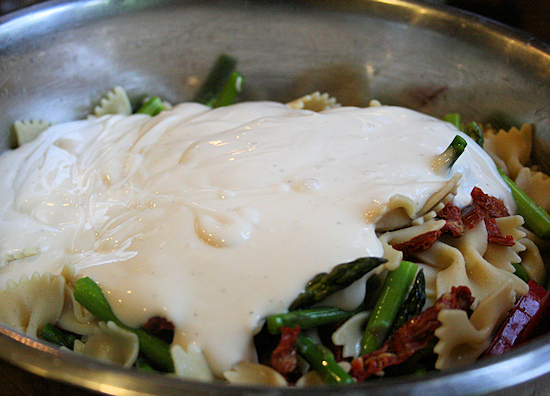 When the pasta is done, spoon the pasta right into the bowl and mix. 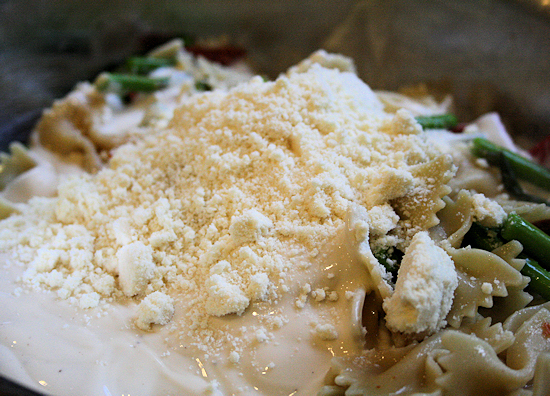 When everything is mixed thoroughly, add your jar of Ragu parmesan garlic alfredo and stir. Add 1/2 cup of some parmesan cheese and stir well one more time. Serve hot with a nice fresh salad and some garlic bread and you have a great easy weeknight meal. Not bad for the jar! Enjoy.